Everyone, meet my new buddy Pablo! Pablo is a 9–month–old, Terrier and Pit Bull mix with a great sense of humor. 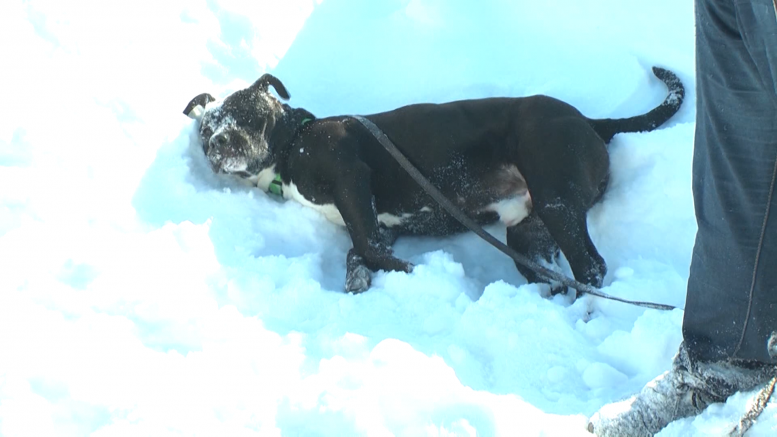 This silly guy loves to play in the snow, and even though he gets along just fine with his furry companions, he is perfectly content being the center of attention. Pablo is the complete package – he is cute, playful, and house trained, but be forewarned, this boy is a burst of energy. Now, let me introduce you to my feline friend, Lisa. She’s a two year old Short-hair mix. This lovely lady can be a bit shy, but only until she warms up to you, and then she’s friendly as can be. She has stunning lime green eyes and a purr that pulls at your heart strings. Lisa gets along great with other cats, and would fit perfectly with a family that gives her plenty of love and patience.